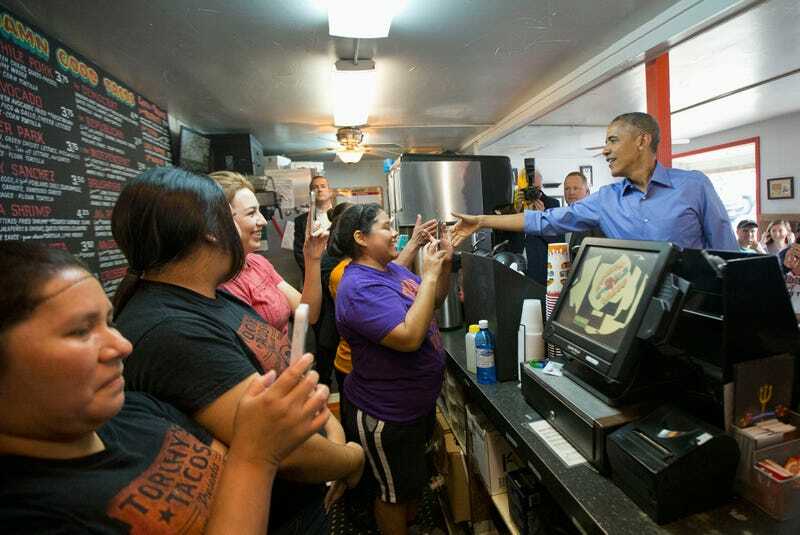 During his visit on Friday to the SXSW festival here in Austin, President Obama had lunch at Torchy’s Tacos on South 1st Street. What I find interesting in this photo is the steely-eyed stare of the security guy in the background. I also thought this photo from Austin Mayor Adler’s Twitter was humorous. This isn’t exactly a normal day at Torchy’s. I wonder if these guys got tacos.